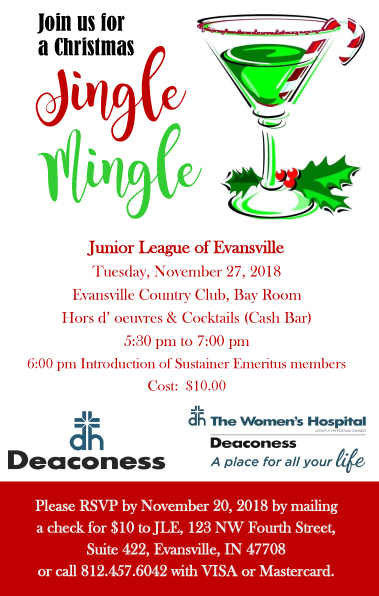 Jingle Mingle is a Sustainer led event open to all members. There will be appetizers available as well as a cash bar. The cost is $10. Please call the JLE office at 812-457-6042 or mail a check made payable to JLE for $10 to 123 N.W. Fourth Street, Suite 422, Evansville, IN 47708 to RSVP. Please RSVP by November 20th.